Reykjavik, Iceland – On Thursday, Iceland’s Supreme Court found nine bankers guilty of market manipulation, affirming the conviction of the seven defendants found in a June 2015 decision by the Reykjavik District Court, and handing down a guilty verdict to two defendants previously acquitted in district court. The bankers were found guilty of crimes relating to deceitfully financing share purchases – essentially the bank lent money for the purchase of the shares while using its own shares as collateral for the loans. In 2015, Iceland sentenced dozens of bankers to a combined 74 years in prison for crimes relating to market manipulation. The majority of those convicted were sentenced to prison terms of two to five years. The maximum penalty in Iceland for financial crimes is six years. The prosecution of Icelandic banksters stems from the manipulation of the Iceland’s financial markets after the deregulation of the finance sector in 2001. Eventually, an accumulation of foreign debt resulted in a meltdown of the entire banking sector in 2008. Massive debts were incurred in the name of the Icelandic public, to allow the country to continue to function, which are still being repaid to the IMF and other nations eight years later by the citizens of Iceland. In contrast to the U.S., Iceland has chosen to hold some of the criminals that manipulated their financial system accountable under the law. In the wake of the 2008 financial crisis, Iceland gained a global reputation for corporate accountability, in stark contrast to the to the United States, which saw a record low number of prosecutions of CEO’s and high-level financial executives. 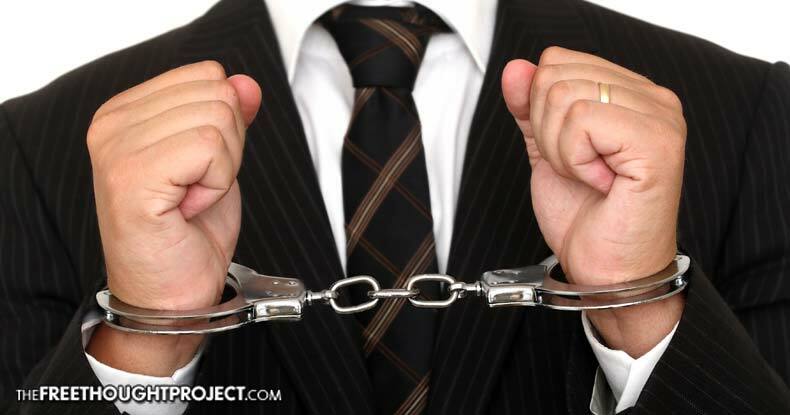 In the U.S., not a single banking executive was charged with crimes related to the 2008 financial crisis, even though the U.S. itself precipitated the global crisis. Icelandic President, Olafur Ragnar Grimmson summed it up best in his response when asked how his country recovered from the global financial crisis. As noted above, America has done the exact opposite. In 2008, after Congress bailed out the failing American banks to the tune of $700 billion dollars, courtesy of the American taxpayer, many of the executives of institutions that received TARP bailout funds ended up getting large bonuses – not jail! The prosecution of the Icelandic banksters represents an accountability that does not exist in the United States of America. It seems clear that the international financial “Masters of the Universe” are the ones that truly control the political apparatus in the U.S., making it painfully obvious that there is no one who is going to hold them accountable for manipulating and crashing the financial markets.